SHORT-LISTED: CBCA Book of the Year, Early Childhood, 2017 Snow on the stockman's hut Snow on the crows Snow on the woollybutt Snow on my NOSE! 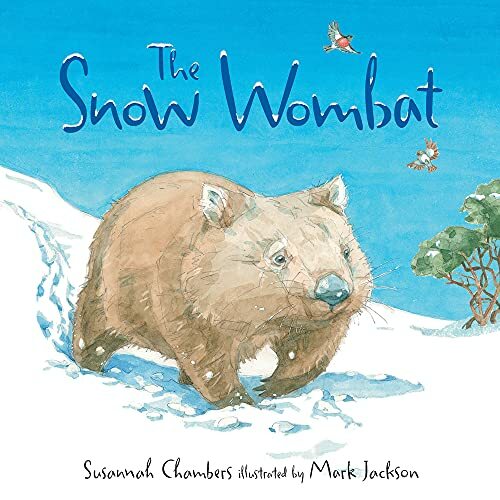 It's a big journey through the snow for a little wombat, meeting animals, birds and people along the way...but there's no place like home! A heartwarming story set in the Australian High Country. Susannah Chambers is an editor of children's books at Allen & Unwin. She lives in Melbourne, but regularly dreams of the mountains.Mark Jackson is an illustrator based in Melbourne. He has co-illustrated several books with his wife, Heather Potter, and their work has been featured in several exhibitions. Stuck! written by Charlotte Calder was shortlisted in the Speech Pathology Australia Book of the Year Awards 2010, and received a Notable mention in the Picture Book Category, Children's Book Council of Australia Awards, 2010.